A reception venue is the one place you'll have your guests spend more than 6 hours. How about making that stay pleasant? Paying attention to detail when decorating the venue is important. Over decorating might make the venue look gaudy and feel stuffed, while under decorating might lend it an abandoned feel. It's possible to get the venue just right. Take a look at the venue when it's empty and undecorated. This will give you an idea what's required to make it warm. Call in your florist or enlist a friend's help. Ask the venue management how it's been previously decorated. My venue had large windows, subtly patterned-painting painted walls and high ceilings with great chandeliers. It was neither heavily decorated nor ornamented but adding anything to the beautiful walls would be to take away from the warm ambience of the place. Tip: Talk to the people in charge of decorating and make sure you understand how you want things done. I designed and printed out a power point presentation. 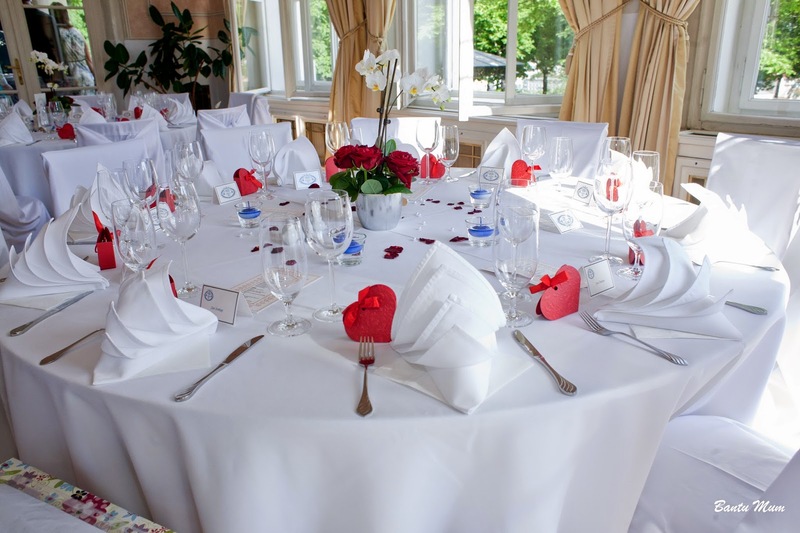 Hiring a wedding planner to oversee everything for the day is a great idea. I didn't as I trusted that all major players understood what I wanted. They had the presentation to refer to. As mentioned in selecting a Reception Venue, the venue came with round tables, white table clothes and soft blue padded chairs. If you are not so lucky, a google search of your area will turn up firms that can provide you with wedding furniture. Catering stuff provided by the venue set the table. Tip: Select a firm that provides both furniture and the covers. The baby blue color of the chair cushions just didn't blend in with my white, red, with a hint of navy blue theme. I googled for salon studios that rented out chair covers and picked one that was easily accessible. You don’t want to run around with a bag of chair covers when you should be packing for your honeymoon. Tip: It's a good idea to try out one chair cover before reserving the entire set. You want to be sure the venue seats will be nicely covered. Note: Bringing in extra covers means extra work. I hired a student recommended by the florist to dress up the chairs. Again, you want to make an exhaustive search everywhere. Save any photos with centerpieces that you like. Look these over and select your favourite. Go to the florist with your idea(s). If this is too much work, show the florist pictures of your venue, tell her your colour theme and let her make a recommendation. Tip: Take-home-after-wedding centrepieces are cheaper and fun. You make these by having centrepieces either made entirely of potted flowers or combining potted flowers with cut ones. I went with potted white orchids surrounded by red roses. The orchids are still flowering, 3 years on. If it's a small wedding, table numbers are not necessary, but place name cards still are. I had 8 tables, each sitting about 10 people. 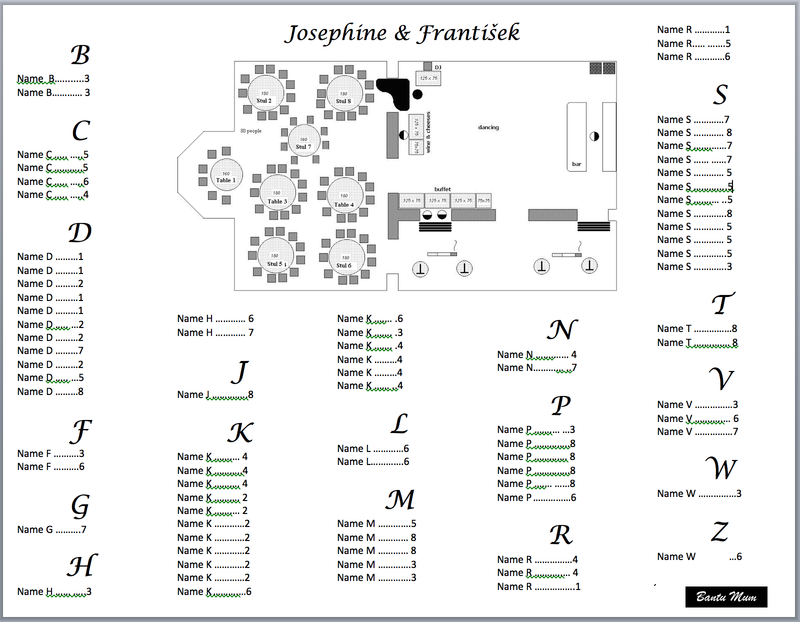 Table numbers, place name cards and a sitting chart were absolutely necessary. I made these, DIY. As favours, I bought red boxes in heart shape and in each, put 5 Jordan almonds. Tip: Let guests know they can take the favours home. We had some opened boxes left behind. Looking at examples online will give you an idea how sitting arrangement it done. Table arrangement will depend on the size and shape of tables and venue. 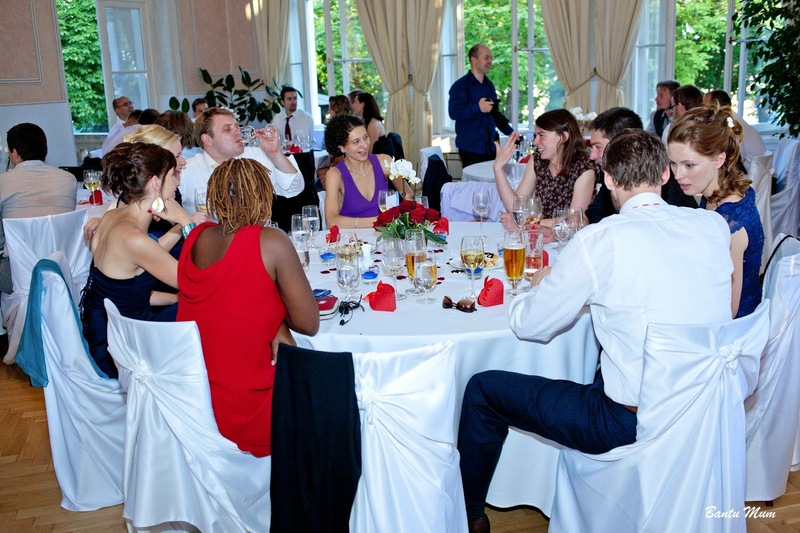 The venue management could also give you tips on how to best use their space. I had the sitting arrangement shown above. Sitting placement is one of those things brides-to-be agonise over. Who gets to sit at the back? Will they be offended? Even when the bridal table is in the centre of a table arrangement, someone will have their back to the bride and might get offended. Well, give yourself a break and just get on with the planning. You simply can't please everyone. I created the sitting chart above and venue management printed it out and placed it at the entrance. Tip: Sit friends as close to each other as possible. On each table of friends, place two or more strangers (people they haven't met before) amongst them. This way, they'll all get to know each other.